Dentistry is a huge industry with an interesting history. Dental care has been happening all over the world for thousands of years, and you can imagine that a lot of neat tidbits of information have come out of it. In today’s blog, we are offering up twelve interesting facts about dentistry that will hopefully make you a little more interested in the subject, and pretty thankful about how much dental treatments have evolved over time! 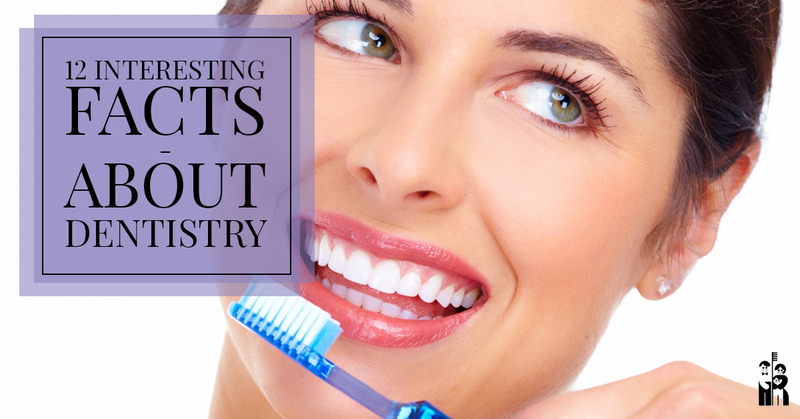 But first, what’s the point of interesting dental facts if you aren’t taking care of your teeth? Shores Family Dentistry is your top-rated dentist in Fort Collins. We offer a full range of dental services ranging from preventative care to cosmetic dentistry to treatments like implants, fillings, and dentures. Regular dental examinations are the best way to prevent serious oral health problems later in life, so be sure to schedule a dental check-up at Shores soon — especially if it’s been a while since your last visit! In the meantime, enjoy these fun facts! Which brings us to our next fun fact! A bristle toothbrush, similar to what we use today, is believed to have been used in the late 1400s in China. The bristles were made out of coarse hairs found on the necks of hogs and tied to bone or bamboo handles. Before this, many cultures chewed on aromatic twigs. The ends of the twigs would fray, allowing for a brushing-like motion. Today, most toothbrush bristles are made of nylon. The earliest dental filling found dated back over 6,000 years and was made of beeswax. Thankfully, dental fillings today are a little more permanent and often made of tooth-colored composite resin or porcelain. Though, some are still made from silver algaman or gold. The first mass-produced toothpaste was from Colgate in 1873. Surprisingly, this happened before the first mass-produced toothbrushes came about in 1885. Before modern toothpaste, ancient Greeks and Romans used pastes made from crushed bone, eggshell, and pumice to polish and clean their teeth. Later on, people in China began using pastes flavored with herbal mint, salt, and ginseng. The man known as the “Father Of Modern Dentistry” was named Pierre Fauchard, an 18th-century French Surgeon who is credited with first identifying the concept that sugars and acids lead to tooth decay. He also popularized preventative care, rather than simply removing infected teeth. Enamel, the hard outer part of the tooth, is the hardest substance in the human body. Though, because it is so thin, it can easily crack or wear away if you do not take care of your teeth. About 40 percent of your teeth’s surface is located between the teeth, not on the front and back, which makes flossing even more important. Flossing can help prevent the buildup of plaque between the teeth and along the gumline, which could otherwise result in gum disease. On average, males have a molar bite force of 150 pounds per square inch, whereas females average about 108 pounds of bite force. To put that into perspective, a German Shepherd has about a bite force of about 270 pounds, so if you were hoping to one day be a police canine, you might need a little more practice. A set of teeth are as unique as your fingerprints and teeth-prints are often used in forensic investigations as they can withstand intense heat and remain long after other body parts decay. Gum disease is the leading cause of tooth loss in adults over the age of 35 — so be sure to schedule your regular check-up soon! If gum disease is caught early, action can be taken to prevent further issues and save teeth. However, gum disease does require care to fix the problem, so don’t try to tackle this issue yourself! The average person only brushes their teeth for 45-70 seconds per day. Keep in mind that the recommended amount of time for brushing is about three minutes, twice per day — about 6 times longer than the average person currently brushes. You need that extra time to loosen up plaque and make sure you get all areas of your mouth, so put in time brushing now to save time at the dentist’s office later on! The current amount of money that the Tooth Fairy leaves for kiddos who lose their teeth is $4.13 per tooth on average. For the first tooth, a big milestone, that cash value is closer to $5.70. While this may seem like a small amount, the Tooth Fairy shelled out a whopping $271 million dollars last year. What’s Your Favorite Fact About Dentistry? Do you have an interesting fact or piece of information you know about dentistry? At our Fort Collins dentist office, we are committed to educating our patients about their dental treatment options and helping them understand what’s going on with their own oral health. While this may not be as interesting as, say, the fact that the common garden snail has about 14,000 teeth, it will hopefully help you take the best care of your teeth. Schedule an appointment today to come in for an examination or dental treatment at our dentist office in Fort Collins!